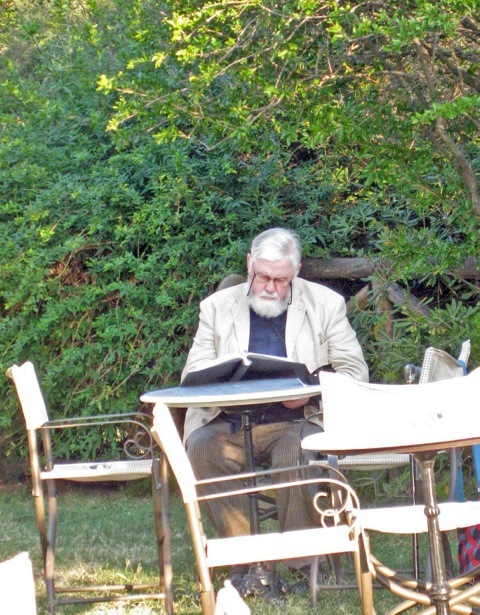 We are pleased to report that since the passing of Henry Robin Amis, the founder and principal teacher of Praxis Research Institute, on June 13, 2014, the publishing and teaching work of Praxis Research Institute has continued under the leadership of its senior members from across the US and Europe and with the guidance and support of Robin's wife and partner in this endeavor for over forty years, Lillian (Delevoryas) Amis. The Institute is currently engaged in a number of new publishing activities. Following publication of the recent book authored by Lillian (Delevoryas) Amis and titled 'Visual Contemplations, Paintings Inspired by Gregory of Nyssa's "Life of Moses"', Praxis is pleased to announce publication of a new calendar by Lillian Amis titled Mary Magdelene Calendar 2018. This beautiful calendar features 13 original artworks by renowned artist Lillian Delevoryas, selected from a series created in 2017 as an exploration of the mystery and myth of Saint Mary Magdalene, the 'beloved' of the title. The calendar is now available for purchase through Amazon.com. A link to Amazon is available on the 'Praxis Publications' page. Another project is a set of Audio CD’s of the popular tapes, “Readings from the Philokalia on Prayer of the Heart," selected by G.E.H. Palmer and read by S. Kadloubovsky. The audio CD set is now available for purchase through Amazon.com. A link to Amazon is available on the 'Praxis Publications' page. Earlier this year Praxis Research Institute, working with Pleroma Publishing Ltd, published a new edition of Gregory Palamas’ Triads, with a revised translation of the text and previously unpublished commentaries by Robin Amis. The new edition is titled 'Holy Hesychia' and was published in tandem with a new edition of 'Eros of Repentence'. Both books are now available for purchase through Amazon.com. Information about the books and a link to Amazon is available on the 'Praxis Publications' page. Long range plans include new editions of Boris Mouravieff’s Gnosis, Volumes 1-3. These projects are ones that Robin was working on during his later years, and continue his mission: to help bring the truth of the heart’ to the English-speaking world. 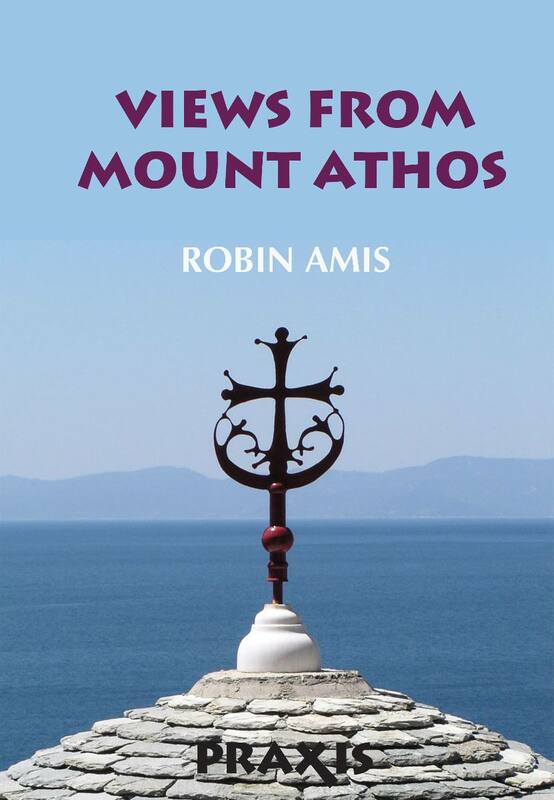 ROBIN AMIS' NEW BOOK, VIEWS FROM MOUNT ATHOS, HAS BEEN PUBLISHED IN A PAPERBACK PRINT VERSION AS WELL AS AN E-BOOK VERSION THAT IS NOW AVAILABLE FOR DOWNLOAD FROM THE PRAXIS BOOKSTORE. Robin Amis' last book, Views From Mount Athos, is a 'travel book' - but his is a many-layered journey - spiritual, philosophical, and psychological as much as physical. As he walks the narrow paths of the mountain from monastery to monastery, he finds himself increasingly detached from the noisy world of the West and travels the mountain tracks within himself. Among his guides on this journey was the blessed Elder Paisios, from whom he learned the wisdom of the heart’. This may be Amis' 'last' book, but it is also his first. The manuscript lay forgotten for twenty or more years while he developed his understanding of spiritual life for lay people in the modern world, expounded notably in his A Different Christianity: Early Christian Esotericism and Modern Thought (New York 1995: SUNY Press). Robin Amis, principal researcher in the field, and founder and Director of Praxis Research Institute. For his research into the teachings of the Holy Mountain, Mr. Amis received the rare designation of Synergatis’ (fellow worker, and equal to the monks), and was given a document providing “free access, both coming in and going out of the Holy Mountain." This document was still valid forty years later until Mr. Amis passing in 2014. You English have served Western man very well with your intellect, giving him many things he needs, the solutions of many problems that have made life easier for everyone. The Praxis website is designed as an integral part of the overall efforts of Praxis Research Institute to make this 'Truth of the Heart' available to interested seekers worldwide, but especially in the US, UK and other Western nations. These efforts include our publication of e-books and hard copy books, teaching programs conducted through the mediums of video conferences and webinars and periodic, face-to-face study sessions with Robin Amis, as often as they can be arranged. One way of approaching this site is to study it as a working-introduction to the little-known practical and psychological teachings of early Christianity. 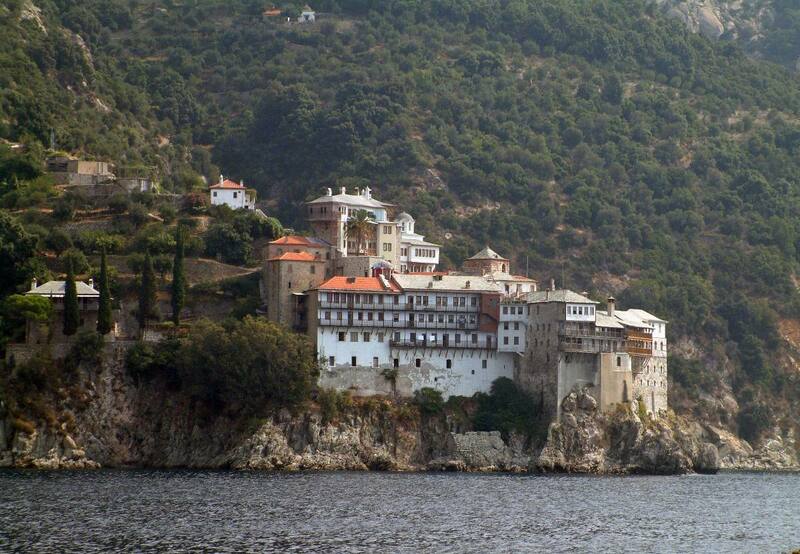 At Praxis, we have for thirty years been in active connection to certain anchorites and communities on and from Mount Athos itself. Everything we print, we plan, research, write, design and produce ourselves, in order to maintain that its content exactly expresses this thinking, which has its roots outside the modern rationalist world . The result is a site designed to express our purpose in such a way that people with experience of these things will recognize them here. Praxis members represent a range of Christian denominations – Orthodox, Catholic, and Protestant – as well as non-Christians, and come from throughout the United States and Europe. Praxis welcomes both visitors and new members, offering material in print and through on-line courses of study.